Originally printed on October 12, 2018 in the Times and Star. GORMAN, Elizabeth (Betty) - Suddenly at the West Cumberland Hospital on Sunday, 7th October 2018, Betty, aged 86 years, beloved wife of Terry and a dear mam, grandma and great grandma who will be sadly missed. Funeral servcie and cremation to take place at Distington Hall Crematorium on Tuesday, 16th october at 2.45pm. 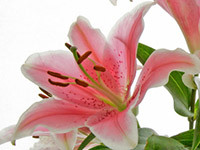 Family flowers only but donations, if so desired, to Cancer Research UK. All enquiries to Co-op funeralcare, Workington, 49 Oxford Street. Tel. 01900 603873.